On December 1st, Cursive will reissue their first two albums: Such Blinding Stars For Starving Eyes and The Storms Of Early Summer: Semantics Of Song. 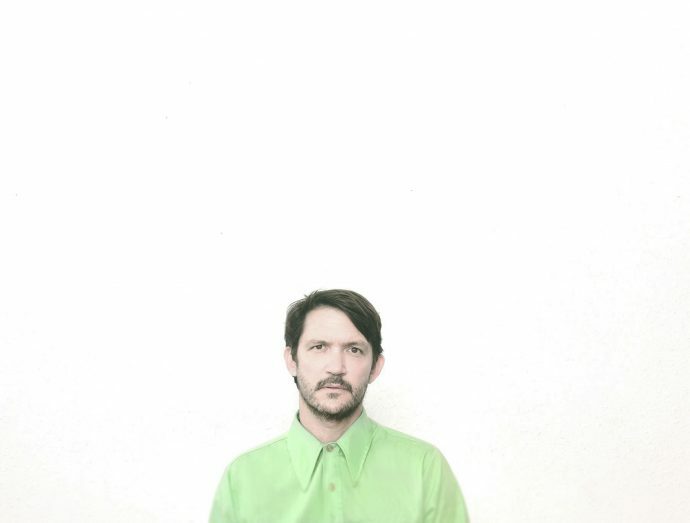 We got a chance to catch up with Tim Kasher to talk about the reissues, Saddle Creek Records, and breaking up in 1998. You are reissuing your debut full-length album, Such Blinding Stars For Starving Eyes. What do you remember about recording the album? That was an exciting time in our lives, we were just beginning this new band, trying out different styles, figuring out what we wanted to sound like. We went through a few different ideas before settling on this sort of heavy, slower, somber album. I’ve always been a bit of a goofy person, but the writing I was wanting to do was quite serious. I recall laboring over the lyrics, meticulously choosing even the smallest, inessential words to make the record just right. I assume you re-listened to the album for the reissue, is there anything new you have noticed about the album? At risk of patting ourselves on the back, I was quite pleased with how well it holds up. My recollection of this era is that my vocals were reckless and off-key, but revisiting the record found me appreciating the earnestness of the performances. I wish I could still scream the way I did back then. They tend to change, but “Dirt of the Vineyard” and “Retirement” have been favorites. You are also reissuing The Storms Of Early Summer: Semantics Of Song which was released just before the band broke up. Did you know while writing it that it would be your swan song? It’s hard to remember, but I’m fairly sure we wrote the album with no plans of breaking up. I DO recall having broken up before releasing it, which was kind of bittersweet. We’ve always felt the record didn’t get a fair shake. When the band broke up, did you think you were done with playing music? Certainly not, I was just considering a new direction at the time, having moved from Omaha for a minute. Storms obviously wasn’t your last album, with the band reforming a few years later. It did end up being your first on Saddle Creek Records which was your home for over a decade. How did that relationship come to be? Saddle Creek was the label our good friends had started and we jumped aboard fairly early on. Technically, our previous band, Slowdown Virginia, was on Saddle Creek as well, but it was called Lumberjack Records at that time. Storms was the last album with founding guitarist Stephen Pedersen. How did Stephen affect the band’s sound on these early records? How has Ted Stevens’ introduction to the band changed the dynamic? To my ears, their guitar styles are quite different. Storms of Early Summer seems like a great record for Pedersen to be represented on, as it is a bit more angular and tight in composition, styles that are found in Stephen’s playing. I assume Stephen’s presence helped shape my songwriting for the Storms record; I have a tendency to want to please the musicians I’m writing for, and the Storms record fits well into the type of precise sound Stephen cultivates. I wonder if Ted Stevens may have been a better candidate for the songs on Such Blinding Stars, as those songs seem more raw and fluid, which could be suggestive of Ted’s playing. Alas, it doesn’t really matter, as Pedersen is such an integral part of Such Blinding Stars, though I’ll always think of Storms as more of a “Pedersen-centric” type of album. Once Ted joined the band, the music began taking delightfully odd shifts into discordance and queerness, mostly highlighted on The Ugly Organ. Finally, what’s next for Cursive? A new album perhaps or a tour?